Twenty five areas recorded ‘very poor’ air quality while 11 areas had ‘poor’ air quality. The air quality in Delhi on Wednesday remained in the “very poor” category due to unfavourable weather conditions, PTI reported. The overall Air Quality Index was recorded at 323, according to the Central Pollution Control Board. On Tuesday, eight areas in the national Capital recorded severe pollution levels. 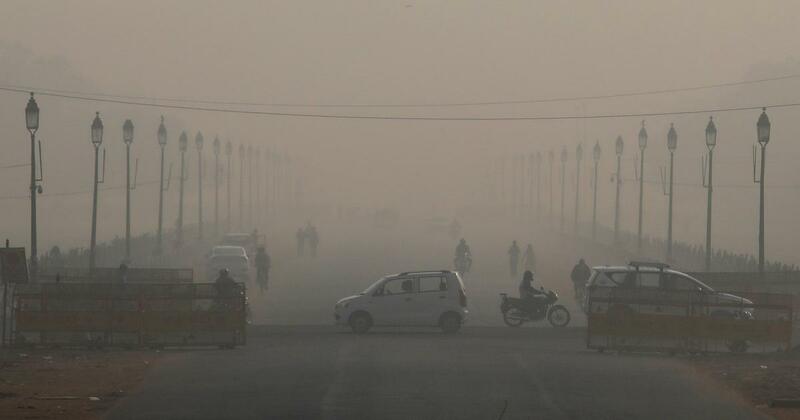 The pollution body said 25 areas in Delhi recorded “very poor” air quality, including the National Capital Region, Ghaziabad, Faridabad and Noida, while 11 areas recorded “poor” air quality. The level of PM 2.5, particles in the air with a diameter of less than 2.5 micrometres, was recorded at 179, while the level of PM 10 was recorded at 338 – both in the “very poor” category. The Centre’s System of Air Quality and Weather Forecasting, or SAFAR, said the air quality is likely to improve due to a slight increase in wind speed but will remain in the “very poor” category. 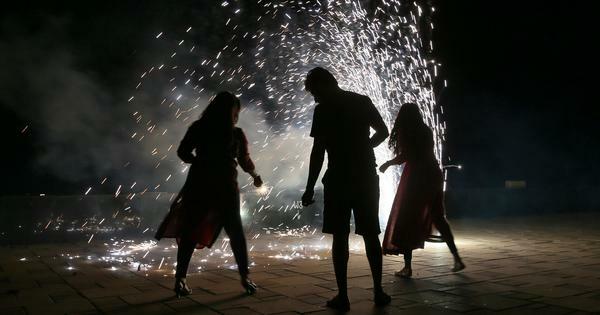 However, as the wind withdraws after two or three days, more moisture may enter Delhi’s atmosphere and likely bring down the air quality, SAFAR added. According to the Indian Institute of Tropical Meteorology, a haze has engulfed Delhi. This is because the wind speed and ventilation index are “extremely unfavourable” for the dispersion of pollutants. Ventilation index determines how fast pollutants can get dispersed. A ventilation index of around 6,000 square metre per second gets rid of pollutants, but it came down to 1,500 square metre per second on Wednesday. To combat the pollution, the Central Pollution Control Board has come out with a list of nearly six lakh diesel and petrol vehicles that are over 10 years old and will not be allowed to ply in Haryana. In October, the Delhi Transport Department had warned commuters against violating the National Green Tribunal’s order prohibiting the use of petrol vehicles older than 15 years and diesel vehicles older than 10 years old.